Doug Beam is a trial lawyer, and has been since 1985. He's handled thousands of personal injury, civil and criminal cases over the years. Doug understands the importance of taking cases to trial and holding large institutions and corporations accountable for their actions. Throughout his career, Doug has achieved numerous multi-million dollar verdicts, settlements and judgments involving brain injuries, deaths and other catastrophic injuries. On a daily basis, Doug fights against insurance companies and corporations that undervalue his clients' injuries or do not accept any responsibility for the damage done to the client. In 2012, Doug helped his clients attain a $28.5 million verdict in a brain injury case, which was the largest verdict of its kind that year. Before trial, no money was offered by the defendant to settle this case. In 2014, Doug settled a case for a confidential amount where a baby was run over by a commercial vehicle, resulting in brain injuries that will last for the rest of the child's life. In 2015, Doug represented a man who was hit by a car going 45 miles per hour while he was on his motorcycle, with such force that his helmet went off his head, and he suffered facial fractures, broken bones in his arms, shoulder and chest, as well as a traumatic brain injury. This case was settled for a confidential amount before trial. While these are just a few recent examples, Doug's work spans over decades and includes motor vehicle collisions, civil rights, trucking, aviation, premises liability, slip/trip and falls, negligent security, nursing home negligence, medical malpractice and many other personal injury incidents where his clients suffered. Doug is not afraid to use innovative techniques to try his cases. This began back in his days as a prosecutor in Brevard County, where Doug tried one of the first ever DNA prosecutions in the United States and also founded the Child Sexual Abuse Prosecution Unit in Brevard. 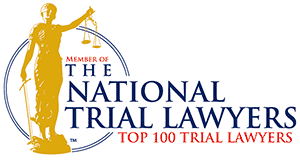 Doug was named a Top 100 Trial Lawyer by The National Trial Lawyers, is AV Rated by Martindale-Hubbell, is a member of the Melvin B. Belli Society, is past President of the Brevard County Bar Association and is an active member of the National Bar Association, National Italian American Bar Association and the Caribbean Bar Association. Doug graduated from the University of Tennessee College of Law (J.D. ), where he was Assistant Editor and Staff Member of the Tennessee Law Review, Editor of "The Forum," and recipient of the Dean's Citation for Extraordinary Contributions to the University of Tennessee College of Law. Locally, Doug is very active in his church. He was been happily married since 1983 and has two sons, Riley, who works with him, and Nathan, an accomplished musician and marketing guru. Doug is a "lawyer's lawyer." Many attorneys come to him when facing disciplinary action due to Doug's reputation and abilities as a lawyer. Doug also receives many referrals from attorneys throughout the country for his knowledge of high-value brain injury clients. Doug served as a prosecutor for three years at the Eighteenth Judicial Circuit of Florida, trying many jury trials, and started the Child Sexual Abuse Prosecution Unit. He also prosecuted one of the first ever cases in the country that relied on DNA evidence. Mr. Beam received the Teaching Excellence Award for his work at the Brevard Community College (now Eastern Florida State College) Criminal Justice Center.